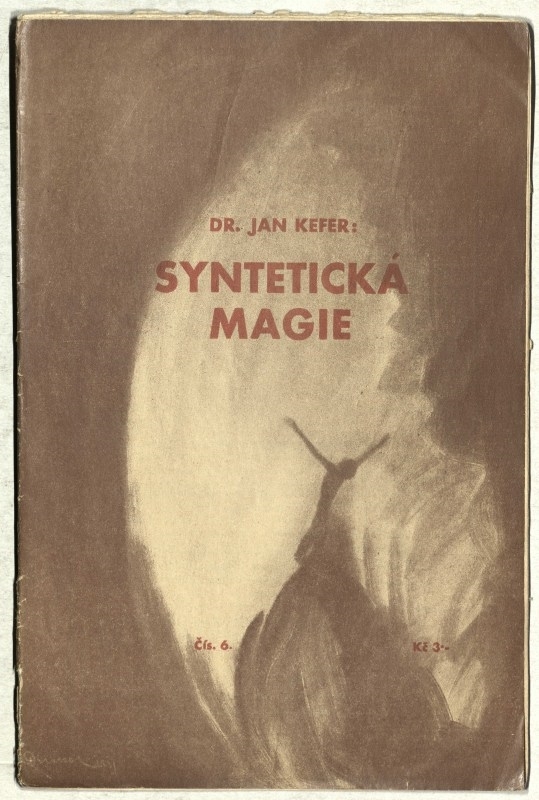 Jan Kefer, one of the most recognized hermetic of the last century and also long-term employee of the National Museum Library attempted an uncommon act at the beginning of WWII.According to the opinion of Czech hermetics, he tried to stop Hitler using several magic interventions. His attempts were not successful, and Jan Kefer was shortly after transported to German concentration camp where he died at the age of just 35.After the war, the president Edvard Beneš awarded him with Czechoslovakian War Cross in memoriam. The life story of Jan Kefer ended too soon, but he managed to create remarkable work during his short life.He was born in 1906 in Nový Bydžov, and after his father’s death the family moved to Prague. Jan started working as unpaid trainee in the National Museum Library immediately after graduation, and later he was employed in permanent position. In the National Museum, he found inspiring environment; one of his colleagues was an ethnologist interested in folk occultism, another was high positioned Mason. Kefer, who spoke seven languages – German, Italian, French, English, Latin, Greek, Arabic – could study in the museum library the original philosophical and religionist texts in original wording. He focused on astrology, occult, and alchymia, that is the main three pillars of hermetism. ‚Jan Kefer found out the highest form of occult is theurgy which is basically the divine occult – forces which move the world.He became a strong practising member,“ says Petr Kalač, employee of the National Museum Library. Jan Kefer was a very active man. Additionally to work for the National Museum he studied at the Faculty of Arts at Charles University, lectured, he was a scout leader, and also published. His most recognized hermetic works include Syntetická magie (1935) and Praktické astrologie aneb umění předvídání a boje proti osudu (Prague 1939). He was very lucky to be able to afford such lifestyle; his mother supported him during the studies, and after the marriage with Dagmar Moosová in 1935, who fell in love with him during one of his hermetic lectures, the young family lived of Kefer’s museum salary and the dowry of his wife. Dagmar Keferová became astrologist after the wedding and was a fortune-teller by means of horoscopes. In 1936, their son Reginald was born.